Where The Heck Have I Been and Why Does It Matter? I have been going through a lot of changes in my life recently in addition to my daily To-Do list with my three daughters. I have taken on a new, more demanding and very rewarding job as CMO for a family of companies and I am going through a very difficult divorce. I guess that is kind of an oxymoron to say it is difficult in that I don't think anybody actually goes through a divorce and thinks it is easy. Well actaully I thought it would be pretty easy emotionally and otherwise but unfortunately I am being proven wrong in that my emotions are all over the place and it is actually very, very difficult for all involved. Big surprise to nobody but me I guess. LOL. Anyhoo, I haven't been blogging too much lately which is, I am starting to believe, one of the reasons I have been in a funk. It is good to be back and I am coming out of my self imposed exile to remind myself and you that we matter so very, very much. Today more than ever we need you to take 5 minutes to work together to create a safer future for all. That may sound really corny but if you have followed along with my blog for any amount of time you have probably already figured out I am nothing if not corny. Safer Chemicals, Healthy Families Day of Action TODAY! So you know we have been fighting to change the outdated chemical laws in the United States and we have been convincing Target to take action with us, and lobbying in DC for safer chemicals and today we need you to show that your voice matters too. You see there is a Bill moving through the judicial process that needs to be changed before becoming law because it is actually going to make matter s worse for consumers than better. Yes our outdated laws form the 70's need changed but certainly NOT at the expense of pregnant women, children, and heavily polluted communities. 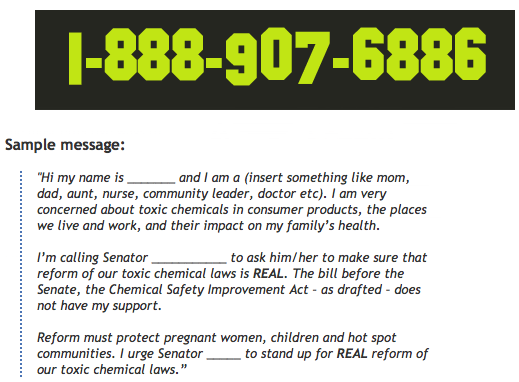 Visit THIS link to be directed to your Congressional reps or simply call the number below to be directed to the right offices (don't worry, it is seriously soooo easy and empowering...remember you matter) and tell your Senators you want real reform on toxic chemicals. Once you are done with the call, share the heck out of this post on social media!! 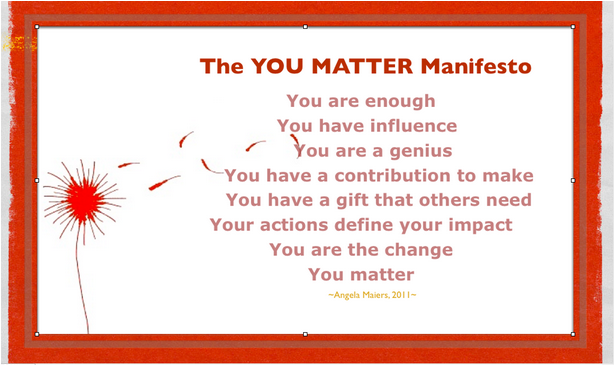 #youmatter #wematter @SaferChemicals.